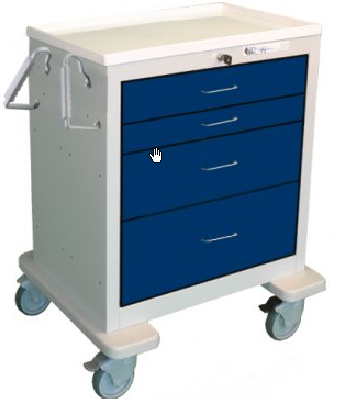 All carts can be custom configured with 3", 6", 9", 12" drawer sizes, all with ball bearing glides. Pre-threaded holes on sides and back to easily mount accessories. Dual ergo push handles, ABS plastic top 5" with premium casters. 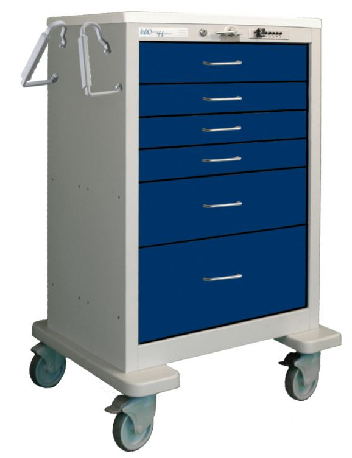 Stabilizer base and five locking mechanisms offered; Proximity, Electronic, Pushbutton, Key, Breakaway and Gatelocks. 18 colors available. 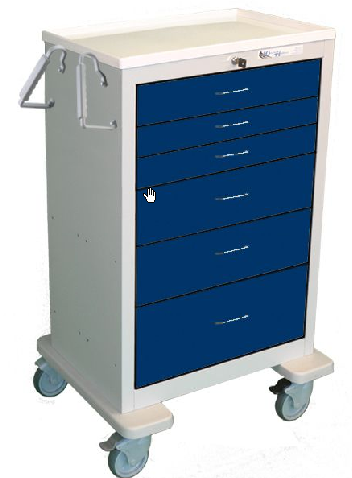 Contact your local rep to configure your custom cart.